Deciding where to go to university can be tough, and overwhelming. We welcome you to come along to visit the campus, check out our facilities and meet current students. Plus, there are opportunities for international students to get a feel for studying at Leeds before you make your decision. 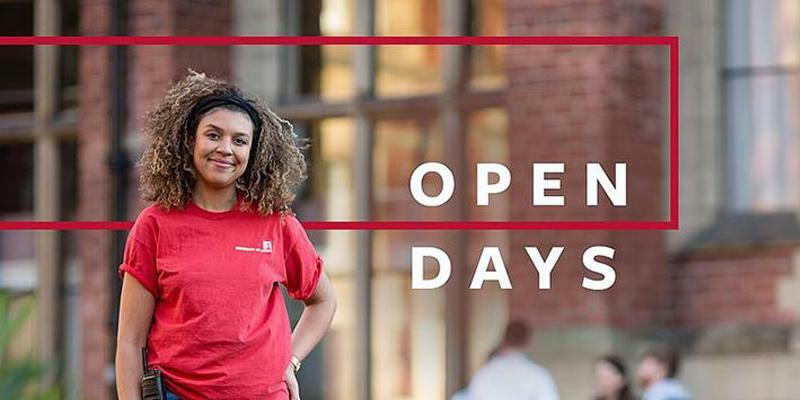 One of the best ways to get a feel for our campus is by coming to one of our open days. Visit our Open Days website for more information. If you would like to visit us before the open days you can book a campus tour. chat with current students and academic staff. UCAS fairs are a great opportunity to have your questions answered and pick up a University prospectus. Our Education Engagement team attend many local and national HE fairs and conventions. These events provide Year 12 students with an excellent opportunity to find out more about the opportunities at the University of Leeds and have any questions they may have answered in person. Dates of the events we will be attending can be found on our higher education events webpage. University of Leeds staff and recruitment officers regularly travel overseas to meet with students interested in studying in the UK. These visits include attending exhibitions or conducting interviews at our overseas representatives’ offices. Our staff are able to give you advice on anything, from studying at the University of Leeds, choosing the right course for your future career and guidance on how to apply. Our alumni also often attend such events, so you can find out more from them about their experiences of studying with us. Take a look at our upcoming visits to find out if we are attending an event near you.